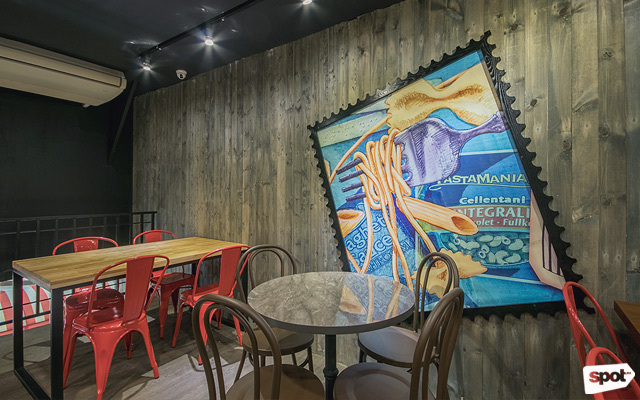 Singapore's largest Italian chain is now open south of Manila. 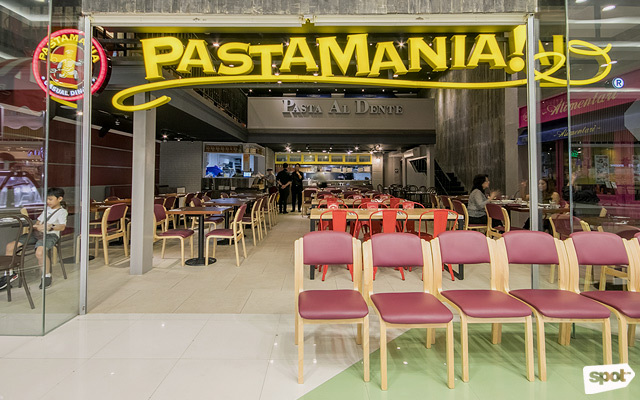 (SPOT.ph) PastaMania, a popular restaurant concept from Singapore, has finally arrived in Manila. 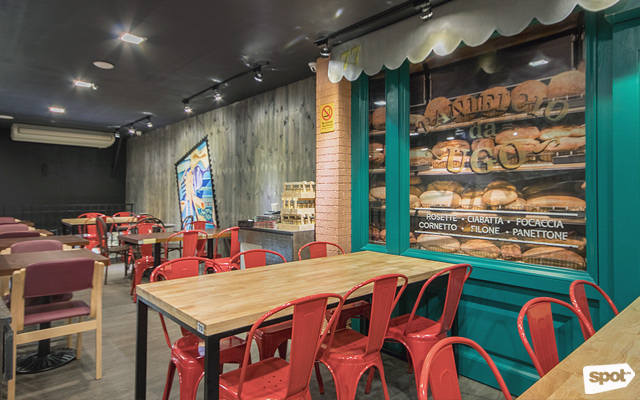 Located at SM Southmall's Food Street, the colorful restaurant is hard to miss, with its gelato cart parked out front, friendly staff, and cozy interiors. 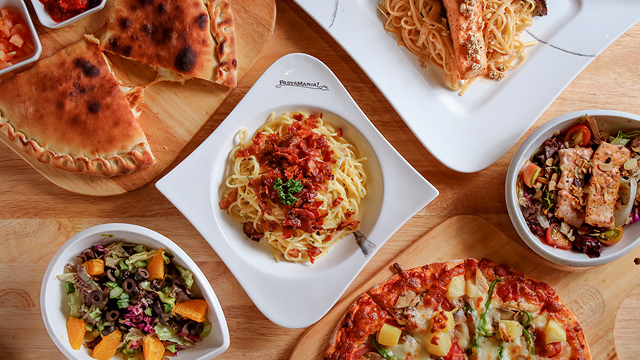 The PastaMania story began with Timothy Ghinn, an expat working in Singapore in the '90s, who was looking for good Italian food that's easy on the wallet. With that in mind, he created PastaMania and opened his first branch in 1998. Stepping into the restaurant will remind you of the rustic side streets of Rome, while their shop front gives the space an intimate feel. What's even better is you can smell their freshly baked bread from the outside. PastaMania is known for their noodles, of course. Customers can choose from five pasta types, with your pasta of choice being freshly cooked and served within five minutes. While you are free to experiment with the flavors, their classic recipes are highly recommended. 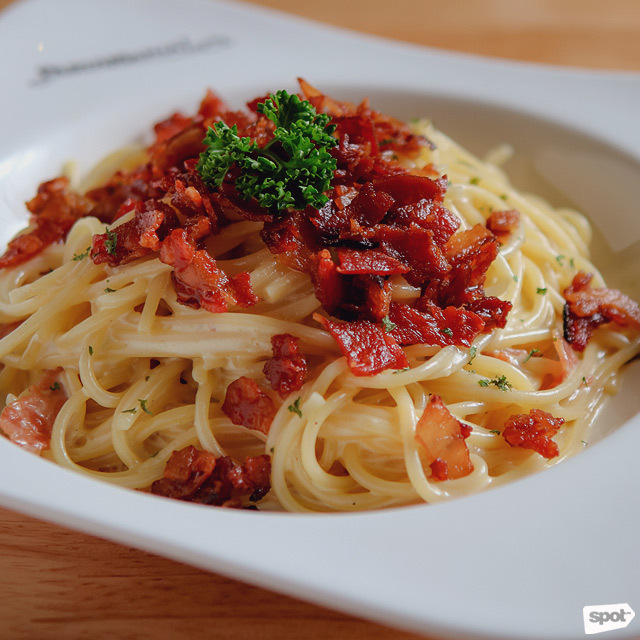 Their Carbonara (P250) could easily be one of the best reasons to visit, with bacon tossed in cream, plus raw egg and Parmesan cheese. The egg adds a layer of creaminess and extra protein, and the pasta is perfectly al dente, having that firm bite. 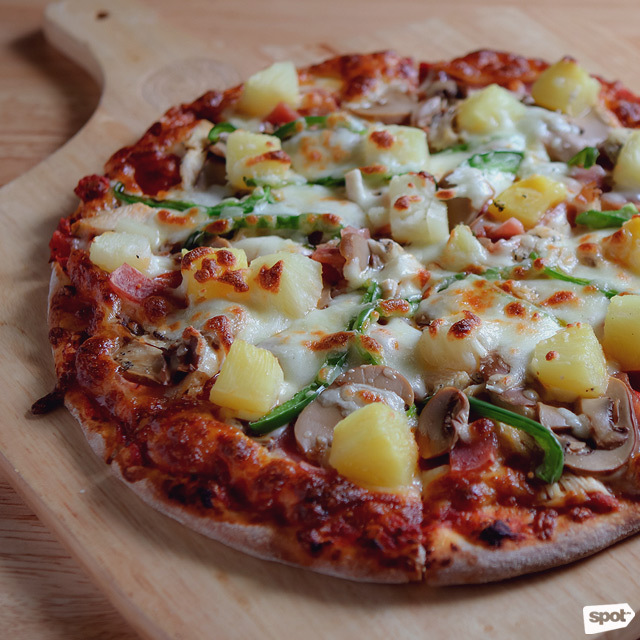 While the pizza flavors range from classics to more experimental flavors, their Supreme (P260/small, P410/medium, P570/large) has a little bit of everything you'll want on your pizza, and more: A tomato base with mozzarella topped with slices of ham, pieces of baked chicken, pepperoni, sliced button mushrooms, capsicum, and pineapple for just that touch of sweetness against a soft, oh-so-chewy crust. 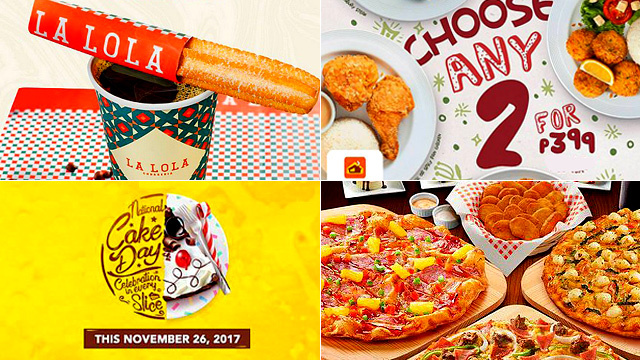 PastaMania’s solo set meals are also more than enough to get you through the day. 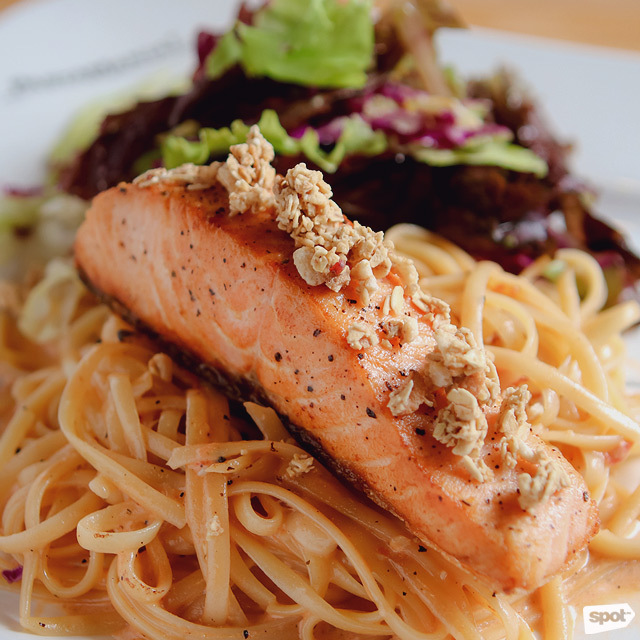 Take their Salmon with Creamy Tomato Sauce (P499) for example, a medium-sized portion of pan-seared salmon fillet served with al-dente pasta tossed in creamy tomato sauce, with a small refreshing salad served on the side. What makes this dish even more interesting is the addition of granola, giving much-needed crunch and texture to the delicate fish. Plus, PastaMania imports all their tomato sauce from their own tomato farm in Parma, Italy. They have over 20 acres dedicated to tomato production, which are then harvested and selected based on their specifications before adding it to their secret recipe—so you know you’re getting only the best stuff. With their wide array of options, it’ll take you a few more trips back before you settle on a favorite. For starters, their Citrus Salad (P175) tickles the taste buds with bursts of fresh orange cubes scattered around leafy greens and a cucumber salsa, served with a fresh dressing. 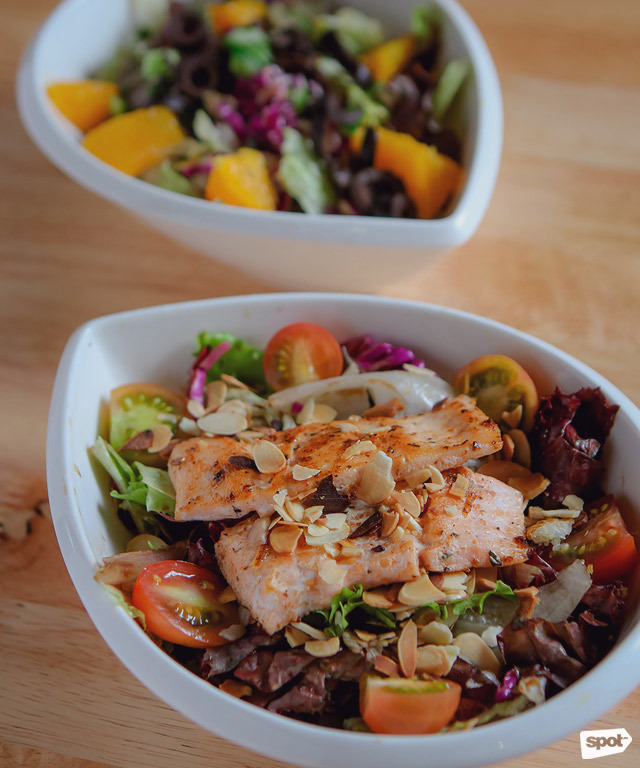 The Salmon Salad (P199) is their gourmet option, using freshly baked salmon, fresh cherry tomatoes, and almond slices tossed in a tangy balsamic vinaigrette dressing. 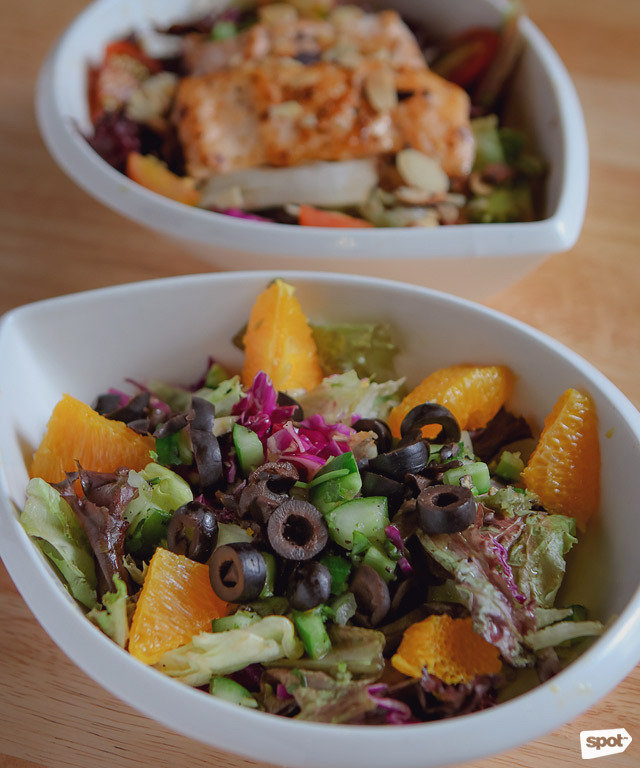 Both salads are portioned out perfectly for the price, and are just the thing to whet the appetite while waiting for their filling main dishes. 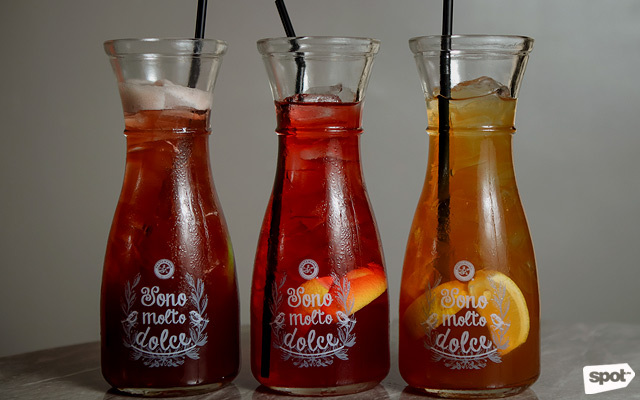 Their fizzy Italian sodas are also a must-try, served in small carafes that you can share or simply enjoy for yourself. The Peach Passion (P149), a concoction that'll remind you of peaches in syrup, is the ideal drink for someone with a sweet tooth; while their Rosehip & Strawberry (P149) is a fruitier version, with the mild taste of strawberry lingering on the tongue with each sip. The Passion Berry (P149) has sour notes that perfectly complement the sweetness of the syrup. 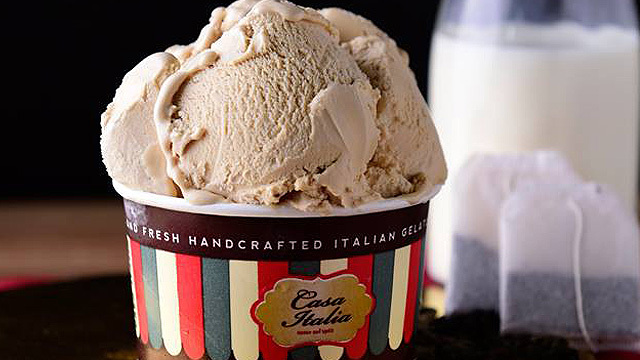 The restaurant’s gelato creations are the perfect way to end any meal. 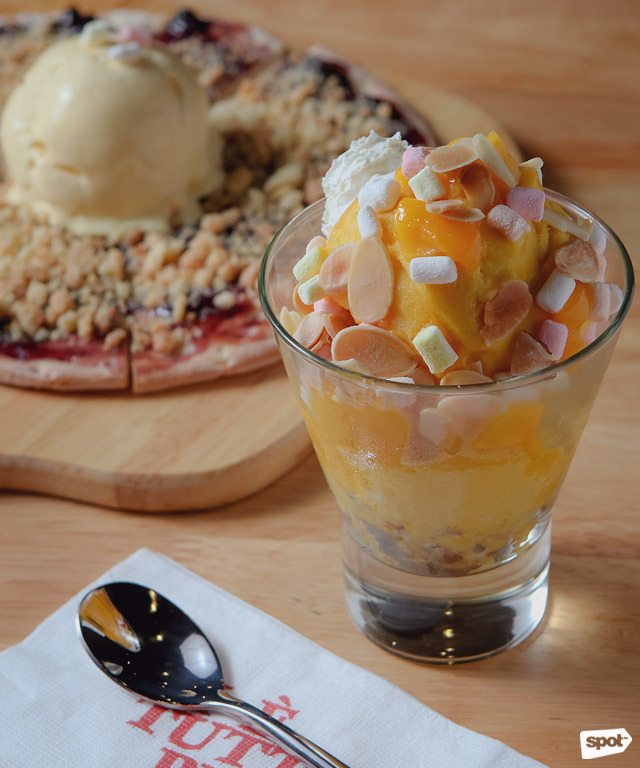 The Blueberry Pizza with Gelato (P255) is a mini pizza with sweet blueberry spread, topped with a crispy cookie crumble, and a generous scoop of sweet vanilla, while the Mango Mellow Gelato (P235) delivers both sweet and sour flavors with their mildly sour mango sorbet and sweet mango syrup. PastaMania may keep things simple when it comes to their pizza, and pasta, but why mess with a good thing? Their classic takes on Italian fare are more than enough to satisfy.